You've found them! 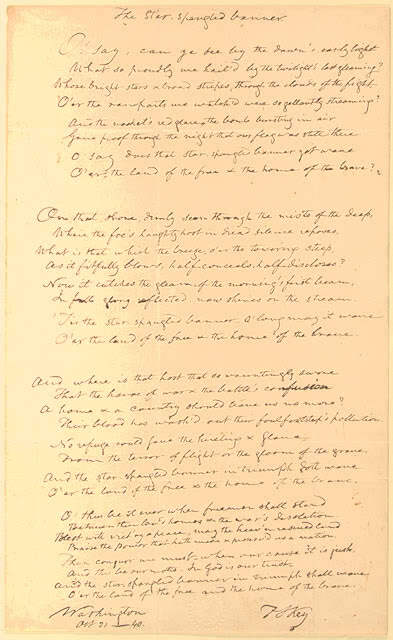 -- the lyrics to the Star Spangled Banner, the words to the national anthem of the United States of America. And we've included not just the first and second verses, but all four - every word!